I come from the world of middle schoolers. I spent six years teaching ancient history to 6th graders and American history to 8th graders. So it was a shock to many of my colleagues when I decided to make the jump from tweens to teens last year. After going through a mixture of emotions about my content change, I was so excited when I received my course load. American history (Yay! I can pick up where I left off!) and an elective – Sociology. I feel that Sociology is a dream class for social studies nerds. It literally incorporates everything and anything you can imagine: American history, world history, geography, psychology, science, current events, ethics, morals, values, beliefs, culture, religion. I could keep going and going. What I wasn’t prepared for, however, was my department head to tell me that there is no real curriculum in place for this semester-long course. I was starting with basically nothing. Enter Pinterest and Teachers Pay Teachers! I was able to find some amazing resources online. 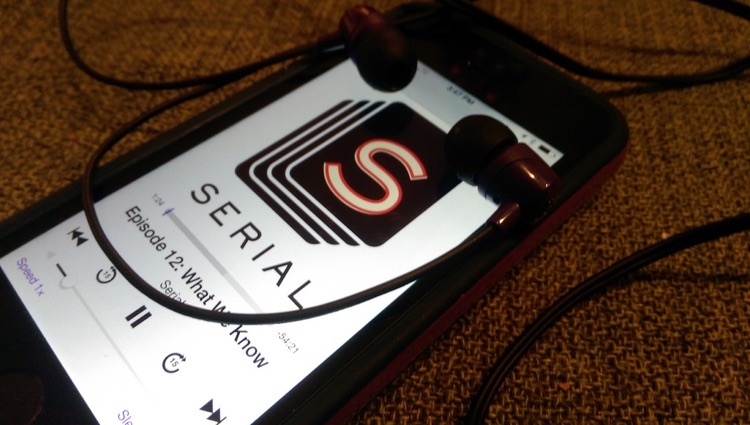 The ones that stood out the most revolved around the popular podcast, Serial. I had never listened to it but had heard that it was extremely addictive. So when I found these incredible materials created by Mike Godsey on TeachersPayTeachers, I dove in headfirst with my students. Each week students are assigned an episode. Sometimes we listen to them in class if we have time but most often the students are listening to the episodes on their own – outside of class. On Fridays we have our discussions. We use Mr. Godsey’s questions as a starting point but then we get into deeper discussions that focus on human behavior. Why would Adnan kill Hae? Why would Jay tell so many lies to the police? Since the story focuses on high school students, the kids in my class start to reflect on their own current experiences in high school. They put themselves in the shoes of Adnan, Jay, or other students at Woodlawn High school in Baltimore. At the end of the semester, my plan is to have the kids present a courtroom-style case for or against Adnan using evidence that we discussed throughout the semester. To connect it all to sociology, we talk a lot about values and morals. The kids also give their own opinions about who killed Hae Lee. What I love about this the most is the kids are coming up with theories that I hadn’t even thought of before. At first they were a little upset when I told them that, for the most part, this case is still “unsolved” and the investigation is still ongoing. Kids are trained to believe that teachers can tell them the right or wrong answers . . . but in this case, I don’t have any answers! We just have our own theories and that’s it! I am so excited to see where this goes. *Disclaimer: Some episodes do contain profanity. Here is a copy of the permission slip that I sent home with students.